Services ads in Sydney. Thank you for visiting our free advertising website Services, Sydney section. We provide high response free classifieds and free advertisement. Use our online free Services classifieds placement system to find, list, offer Services online! If you want the best Sydney language solutions at the most affordable price, then get in touch with the team of ATIS Communication. We provide language translation, interpreting, proofreading and checking services at a very economical price in the industry. Visit us! https://bit.ly/2GvNEwe. Coastal Creatives is a community of creative minds from a number of different fields, from; Web Designers, Motion Graphic Artists, Video Editors to brand strategists. Leading this ship of creative geniuses are Gus & Alec, two mates that thought the content industry was missing something... Quality Content, affordable prices, and a personal touch. Haveli Function Centre provides you the very closer Wedding, party hall, function hall Blacktown , and corporate or non- corporate event Venues in Blacktown Suburbs for your different kind of memorable occasion with friendly services like CENTRAL LOCATION, OPENED 24/7, FREE PARKING and CUSTOM EVENTS.. Mobile truck repairs servicing truck drivers and logistical companies in all areas of Western Sydney including Ingleburn, Wetherill Park & Blacktown. High quality servicing at competitive pricing. Website:	http://mobiletruckrepairs.com.au/ Phone:	04 0438 2622 Email:	fk457@hotmail.com Address: Sydney. Are You Looking for Event Audio Systems? If You get best and branded Audio System for your Event. I have Solution for your Event. CRLighting and Audio is the best Option for Your Events, Parties, Wedding and Functions making Successfully. So What Are You Waiting for? Hurry Up Call Now and Visit Us! CONTACT US:- CR LIGHTING AND AUDIO 31/192A Kingsgrove Road, Kingsgrove, NSW 2208 Enquire on 1800 95 99 96 or visit us online here:- http://www. Website: https://www.assetbuilding.com.au Address: 36 Jenson Rd Griffith NSW 2680, Australia Phone: 02-6962-2458 Industrial & commercial building construction company. Asset Building Systems provides managed construction services for the design & construction of warehouses, factories, industrial sheds, commercial sheds, and shed awnings & extensions. At CR Lighting & Audio, we're driven by a real passion for what we do and believe that everyone deserves a top quality sound, Audio systems, lighting and visual experience. Our goal is to be the most competitive audio hire and DJ system rental company in Australia. Learn how our system Integration team can transform and streamline your Installation and event. Liquid HR was established in 2011 as one of the first companies to specifically offer ‘full-service HR’ to small and medium-sized enterprises. This ultimately saved time, money and stress for our partners. We understand that being responsible for business strategy and day-to-day operations is difficult enough without worrying about the complexities of managing staff and changing workplace legislation. Cleaning in Sydney for over 10 years, we’ve become familiar with what the local residents and businesses expect when it comes to their cleaning services. Our focus is to provide our cleaning services in Sydney in a way that is personalised to every customer and their needs. Warehouse and Head Office. 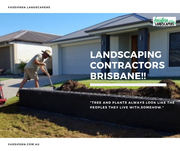 Are you searching for the Professional Landscaping Contractors Brisbane to handle your landscape needs? If yes then, Fassifern Landscapers in Brisbane can help you to improve your business visibility, and your home life by helping you maintain beautiful, stress-free landscapes. To know about landscaping services call us at 0437 672 133. Smiles First Dental in Northmead is dedicated to providing you with the personalised service you and your family deserves. Our support staff at Smiles First Dental are also highly dedicated and experienced. We ensure each visit with us is comfortable as possible. 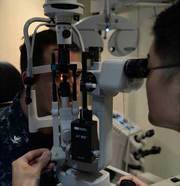 We routinely attend additional training courses to learn and provide better ways to cater for your needs. Australia free ads for Services, Sydney, Services free ads Sydney, Services for sale Sydney, Services to buy in Sydney. Find on this page free classifieds for Services in Sydney. This listing includes classifieds for sale and to buy in Sydney. FREEADSAustralia Sydney offers you a platform to post free advertisements or classifieds for Services in Sydney. FREEADSAustralia helps you search, find buy, sell, rent or hire in various categories like apartments, goods for sale, local services, cars , jobs and many more in Sydney. If you posted an advertisement in category Services of FREEADSAustralia Sydney before please use Edit my ads button to change or cancel your ad. Services Sydney ads Sydney, Services classifieds Sydney, Services free ads Sydney, ads for sale Sydney, ads to buy Sydney, FREEADSAustralia. Find here ads for sale, to buy and rent in Sydney. Goods for sale in Sydney, vehicles for sale in Sydney, Sydney real estate for sale, Sydney property for sale, property for rent in Sydney, business ads in Sydney, Sydney business classifieds, services in Sydney, Sydney services ads, jobs in Sydney, pets for sale in Sydney, Sydney dating, Sydney cars for sale.